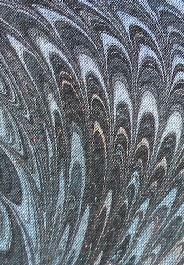 Marbling refers to painting techniques for creating a stone-like appearance or intricate flowing designs. Marbling originated in Asia more than 800 years ago and spread to Europe in the 1500s, where it was used for endpapers and book covers. 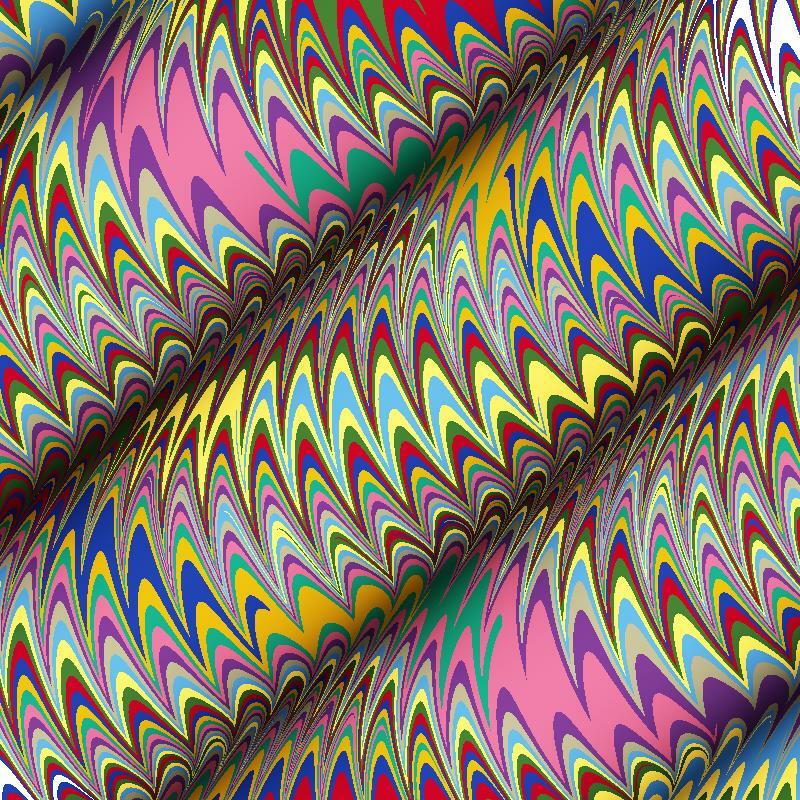 My web-pages are about generating marbling designs mathematically. Jürgen Gilg and Luque Manuel have collaborated to create the pst-marble package on CTAN.org which lets you create your own mathematical marblings using LaTeX. 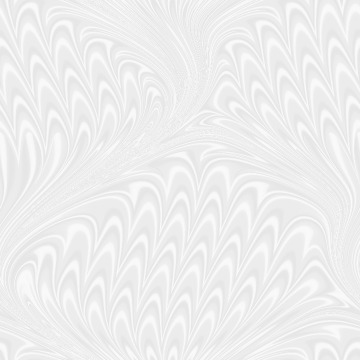 http://pstricks.blogspot.com/2018/09/the-marbled-paper-with-pstricks.html show nice examples of marblings you can create with pst-marble. You can now create pst-marble designs online! 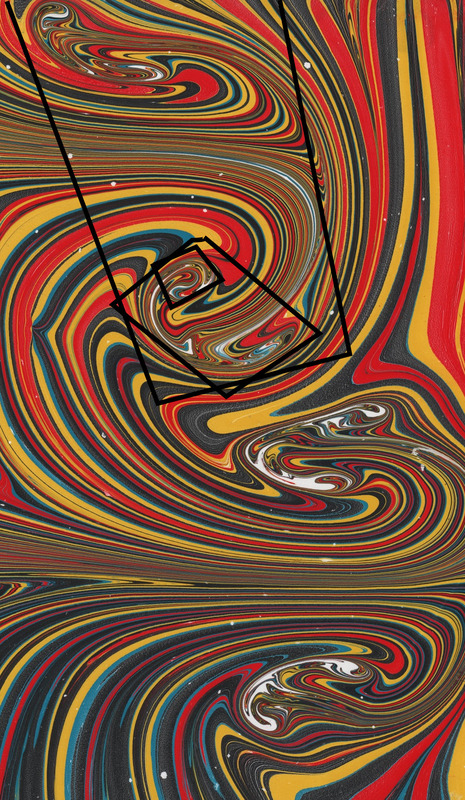 The first tutorial (about the nonpareil pattern) is Mathematical Marbling How-To. Vis Comput (2015) 31: 1653. Shufang Lu, Yue Huang, Xiaogang Jin, Aubrey Jaffer, Craig S. Kaplan, and Xiaoyang Mao. Vis. Comput. 33, 6-8 (June 2017), 913-923. In November 2017 I presented a talk on the "Physics and mathematics of marbling" at the Isaac Newton Institute for Mathematical Sciences (in Cambridge UK). A video recording is at http://www.newton.ac.uk/seminar/20171128111011501. The slide pack is here. 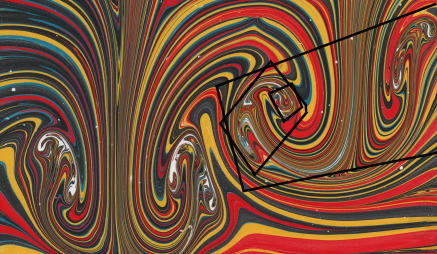 Performed some experiments trying create vortexes in physical marbling. Read about it on my blog. The Mandelbrot set and related curves display banding, but have only a couple parameters affecting them. These couple parameters change disparate features throughout the image. Although one can affect the drawing, one cannot control it. Also, fractals' self-similarity down to infinitesimal scales is more akin to the Horned Sphere counterexample than to the simply connected homeomorphisms explored here. So I thought until trying to create a Karman vortex street in a real marbling tank. But the "mushroom" patterns that emerged have smaller mushrooms inside of them. In the photograph, I have outlined mushrooms at 3 different scales (click for larger image). See blog post for more information.